Her father was Joseph Anthony Hepburn-Ruston, a wealthy British banker and Mosleyite. Her mother was Ella van Heemstra, a Dutch baroness who descended from French and English kings. Her father abandoned her, and her mother abandoned her fascist views following the Nazi occupation. 16-year-old Audrey served as a volunteer nurse in a Dutch hospital during the war. She also ran messages and performed in underground concerts to raise funds for the Dutch Resistance. I didn't know about this, but it appears that the story of her alleged resistance activities originates in one biography but there is no actual evidence to be found for it, according to the Dutch Airborne Museum who tried, in 2016, to verify it. You got any more info about this? Just looked into it again on Google and it is reported in loads of different places, particularly about her doing dance performances to raise money for the resistance which had to be performed in silence, which she later commented about. A biography by Barry Paris was one of the places where the story appears, but not the only one. I just got it from the Dutch wikipedia page - https://nl.wikipedia.org/wiki/Audrey_Hepburn - that the aforementioned museum debunked it, because they didn't find any evidence for it in any archive. 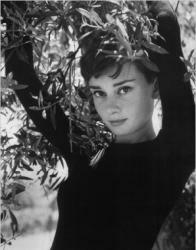 The museum director said they found it unlikely that "the resistance would have called on her" but of course it doesn't at all preclude that Hepburn may have given money earned with dance performances at the time to someone involved in underground actions. The other things Hepburn would have been involved in was delivering resistance papers, internal messages and 'helping to evacuate British soldiers to liberated areas'. I don't know how credible that is.